You’re trying to sell a Raleigh NC house that just won’t sell? With all the news and gossip about a hot seller’s market, multiple offers, and closings at an above-asking price, where is your sale? Even more importantly–where is your check!? These tips could be just what you need to help you sell your Raleigh home. 1) Do business with a professional! Just like before, there are novice agents and investors rushing into the booming market trumpeting that they know what they’re doing. This is an unfortunate phenomenon that happens every year. With all the infomercials that preach get rich in real estate fast, there will always be a flood of novices that write contracts that they cannot close! It is essential to do business with an experienced, reputable, and competent investor/agent when it comes to selling your largest asset. There is such a thing as over-improving a property. 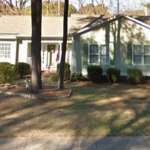 I had met someone a few years ago that renovated an older property and turned it into a 4 bedroom luxury home…the problem was he did so in an area of student rentals around NC State, and the property sat on the market for a year. It’s very difficult to exceed what the market is paying. Plus, most buyers want to add their own custom touches. 3) Do make necessary repairs. A buyer that intends to live in the property will want to see the homes in mint condition. Don’t rely on them to “see the potential.” If you’re looking to sell a house as-is then you should contact an investor/professional home buyer. Little details go a long way. All of the appliances, fixtures, and lights should work. All of the doors should open, close, and lock properly. Curb appeal is as important as the inside – so don’t neglect one part of the property to improve the other. A yard full of weeds is a big turn off for a prospective homeowner. Give buyers a cohesive impression of great style. Paint the walls, update the landscaping, and most of all – keep it immaculately clean. Consider hiring a professional designer to help tastefully stage the property. Many homeowners confuse emotional attachment will value–it happens to all of us. If you’re getting a lot of showings but not a lot of offers, or if the home has been on the market in Wake County for more than 60 days than you may want to take a hard look at your pricing strategy. 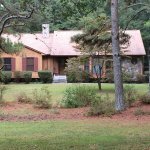 If you need to sell a house near Raleigh, we can help you. We buy Raleigh NC houses. Give us a call anytime 919-473-6885 or fill out the form here today!